International Association of Athletics Federations vice-president Sergey Bubka is "deeply shocked" by claims of systematic doping in Russian athletics. The 51-year-old former Olympic and world pole vault champion pledged to act "quickly and transparently" after allegations in a German TV documentary. The Russian Athletics Federation said the claims were "lies". 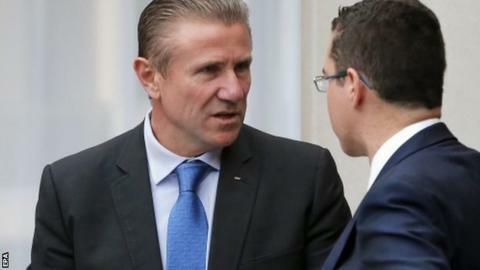 Bubka, who represented the Soviet Union and Ukraine, said action was needed to protect the sport's "integrity". The Ukrainian, who is expected to stand for the IAAF presidency next year, acknowledged "very serious allegations have been made". He added: "I believe in a zero-tolerance policy against doping and we have to consistently and relentlessly fight against what is the biggest threat to sport in the 21st century." The ARD/WDR documentary featured a series of claims from a former Russian Anti-Doping Agency official, who accused the agency of covering up positive tests from top athletes in different sports on a routine basis. The revelations prompted an angry response from Russian sports officials. Athletics federation chief Valentin Balakhnichev described the accusations as "a provocation aimed at undermining Russian sport". The IAAF is looking into further doping allegations made in a second German TV documentary on Sunday. It said in a statement: "As was the case for the documentary broadcast by the same channel on 3 December, a transcript will be forwarded to the independent IAAF ethics commission, which has already started an investigation into matters which were exposed in both documentaries. "The transcript has been sent to all members of the IAAF council and will also be forwarded to all relevant individuals mentioned in the programme. "They will be asked to respond to the specific allegations made against each of them."